wtf 1 hour for 7 very well geared dps? O_O You know 1.6 billion hp is like Nuale boss x4. And in grp with 1 dps and 4 supports(our boss killing party) we’re farming Nuale in 6 minutes. And sometimes we’re taking 2nd dps instead of 1 support and nuale dies in 4 minutes. So if we go on this guild boss as 5 ppl we will kill it in 16 minutes? Wtf that 7 VERY WELL geared dps wears? 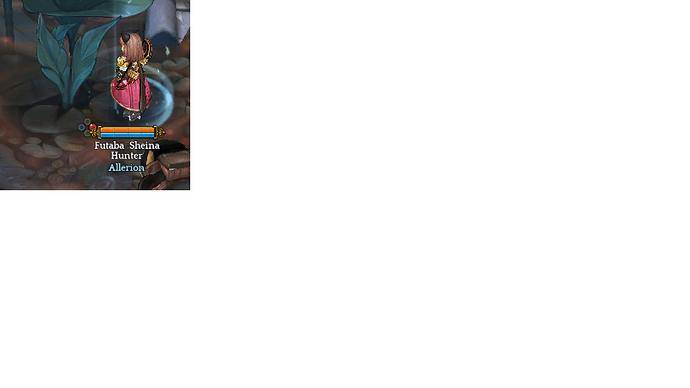 Roxona set with catacombs weapons +2? I would also assume they’re using highly transcended gear. thanks for the info wolfy!
. the guys in these screenshots are high trans. some of them make leading guides for ET, other contents etc. i am sure as we get more exp ppl will kill it much faster than 1 hr. that was their first run supposedly. Do you know the name of the boss? Or the map? 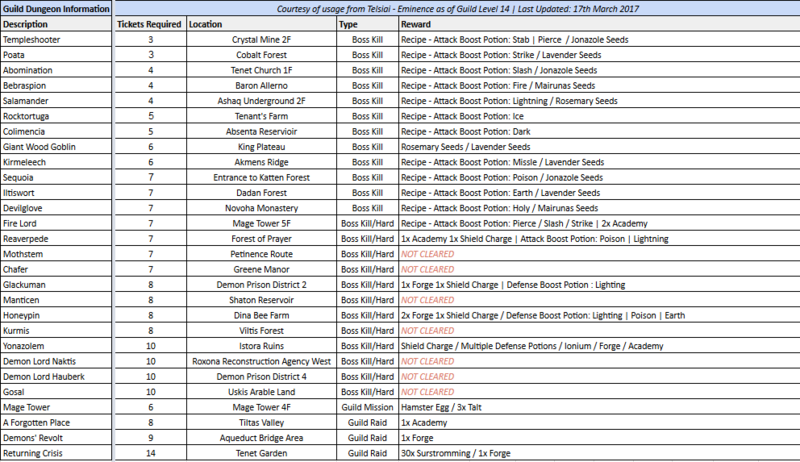 you can check the following info there, what i’ve written there for hard boss kills are the ones that should be looked at. Gosal is the latest patch that came with new boss hunts. We’ll try to attempt this and come back with our findings on this. I regularly update the sheet once we get new information and if you’re interested you can follow this thread that i’ve created. 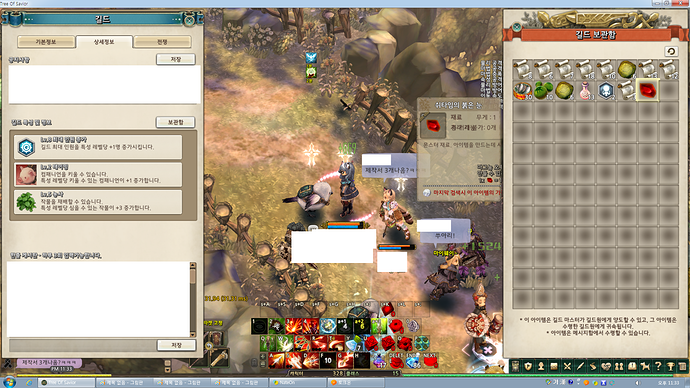 I heard that one of them drop 500 talts, my guild is trying to hunt him to upgrade the guild. We had some problems, bugs, but I think I found the solution. sure let’s update together on what we’ve get and probably we might be able to finally figure out this 2nd practo recipe. @guiradunz and @ToiletMaster thank you for your contribution to this. I will let the boss hunting on you guys as i’m not part of a guild high level enough to compete for these. My priorities will be: Finishing the Addon Showcase post then add the newly added quests for the 290 Practo cube so more materials will be available. I wish you good luck and let me know any info you get. I am pretty sure that this map is Uskis Arable Land, you can see a Kitchen Knife in the ground, dropped by Red Zigris. And the only thing added to Uskis guild content in the last big update was the Gosal boss, so I think that’s it. @Wolfy can explain how to trigger quest in pelke shrine ruins? i talk to elder granddaughter she only talk lost the badge not give taks quest. and in the spot of grass i cant pick or space that item… how??? Have you check all those spots i marked? Have you cleared all the quests on the area? So now that the mistery is solved we finally know that the new practo box quest is just worth a few extra lvl 12 cards for 99,5% of players. Cool. yeah i done check all spot and all quest on area map. For anyone on Klaipeda I am selling Mystical Cube Recipes. Can you have two Prac boxes in your inventory? Say if one hasn’t yielded a result yet? In theory yes. In practice maybe it will dupe practs in some classic IMC bug. Best to let others test it first.